The Department of National Minorities, headed by May Ivanovych Panchuk, Doctor of Historical Sciences, Professor, Honored Researcher of Science and Technology of Ukraine, employs three leading research scientists (Oleg Oleksiyovych Rafalskiy and Victor Oleksiyovych Kotygorenko, both Doctors of Historical Sciences, and Victor Anatoliyovych Voynalovych, Candidate of Historical Sciences), three chief research scientists (Orest Yakubovych Krasivskiy, Doctor of Historical Sciences, and Oleg Yaroslavovych Kalakura, Nataliya Ivanivna Kochan, both Candidates of Historical Sciences), two research scientists (Tetyana Yuriyivna Gorban and Nataliya Yuriyivna Makarenko, both Candidates of Historical Sciences), two junior research scientists (Oleksiy Oleksiyovych Lyashenko and Lesya Leonidivna Kovach, both Candidates of Historical Sciences), Olga Petrivna Pechenizhska, an cartographer engineer and Tetyana Grygorivna Fursa, 1st grade laboratory assistant. From the time of its formation (beginning 1992), the department developed scientific research on several levels, or rather, directions of scientific search. First of all, it is dealing with theoretical and methodological revaluation of Soviet inheritance in subjective and instrumental apparatus of ethnology, generalization of the best local achievements, return from oblivion and special archives of the works of many theoretic and practical researchers of ethno-national problems who were repressed and their works, as well, as the very term “national minorities”, were accursed, studying of foreign experience and approaches to solve collisions between national majority and minority, and ensuring of individual rights. Secondly, it promotes enrichment of the basic sources of research, finding, analyzing and publishing of documents on the history of ethno-national relations in the Ukrainian land in the 20th century, because most of the modern problems have their roots in recent historical heritage, the witnesses of tragedies of totalitarian state are still alive, its victims are still remembered. Thirdly, it provides specific researches in separate chronological segments: beginning of the 20th century, time of Ukrainian revolution, 20-30s, Second World War, and certain ethnic groups, in the first place connected with fate of the Ukrainian people, most numerous and influential on the regional level: Polish people, Germans, Jews, Crimean Tatars, Romanians, Slovaks, etc. The outlined directions later led to planned research topics, became a part of general scientific problem named “Ethno-Political Processes in Ukraine: Historical Experience, Modern Conditions, Prospects”. The most important gains of the research work were published in numerous publications (around 300), delivered in speeches of the Department employees at various international and all-Ukrainian scientific and practical conferences. The scientists of the Department are members of editorial committees of “Ukrainian Historical Journal”, “Political Thought”, “Development of State”, “Dialogue: History, Politics, Economy” journals, “Scientific Notes” of I.F. Kuras Institute of Political and Ethnic Studies of NAS of Ukraine and “From the Archives of VCK-GPU-NKVD-KGB” scientific digests, “Rehabilitated by History” series of documentary scientific books, etc. They are permanently acting as opponents during defense of doctor’s and candidate’s dissertations and V. Kotygorenko and O. Rafalskiy are members of two Specialized Boards for Defense of Dissertations. In 1996-1998 M. Panchuk worked as the first deputy and head of Supreme Certification Commission of Ukraine, now he is the head of Expert Board for History of Supreme Certification Commission of Ukraine. The employees of the Department participated in development of legal acts on national minorities, i.e. the Law of Ukraine “On National Minorities”, draft laws regulating national relations, Constitution of Ukraine. In general, the scientists of the department prepared 9 scientific works, 3 reference encyclopedia publications, 4 digests of documents, more than 15 brochures, one cartographic atlas, around 300 scientific publications. The specialists of State Committee for Problems of Nationalities and Migration and from several Universities, which had regional groups studying specificity and features of regional ethno-history and ethno-practice, worked together with the employees of the Department. They included teachers of Uzhgorod, Prykarpatsky, Volynsky, and Tavriysky State Universities. The department became a scientific research centre for life studies of national minorities, attracting the potential of teachers of ethnology, regional studies, history, sociology, philosophy, Ukrainian studies, and amatory researchers. Among the prospective plans of the Department there is a project for preparation of the book series named “Regions of Ukraine in Ethno-Political Dimension”, the purpose of which is to research with modern methodological base, using previously unknown sources of historical development of main regions of Ukraine with specific ethnic structure and particular political history, creating or being able to create today social, ethnic or politic tension in the country. Therefore, during the recent years several important research projects of major political topicality and scientific novelty were realized on the base of national minority researches. 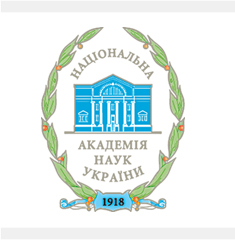 They established a research school for studying of ethnic groups in Ukraine as a subject of Ukrainian ethno-political life, an important element of Ukrainian multi-ethnic society. Natsionalni vidnosyny v Ukraini u KhKh st. Zbirnyk dokumentiv i materialiv. – K. : Naukova dumka, 1994. – 557 s. (M. Panchuk – ker. avt. kol., I. Hoshuliak, S. Dibrova, Iu. Zinchenko, Iu. Levenets, S. Pyshko, L. Polovyi, A. Soloviova, O. Spirin, D. Shchedrina). Natsionalni menshyny v Ukraini 1920–1930-ti roky. Istoryko-kartohrafichnyi atlas. – K. : Chetverta khvylia : Holov. spetsializ. red. lit. movamy nats. menshyn Ukrainy, 1995 – 104 s. (M. Panchuk – ker. avt. kol., O. Pechenizhska, B. Chyrko). Natsionalni menshyny Ukrainy u KhKh stolitti : polityko-pravovyi aspekt. – K. : – IPiEND, 2000. – 357 s. (M. Panchuk – ker. avt. kol., V. Voinalovych, O. Halenko, M. Henyk, T. Horban, O. Zhernoklieiev, Iu. Zinchenko, O. Kalakura, V. Kotyhorenko, Iu. Levenets, N. Makarenko, O. Rafalskyi, V. Ustymenko, B. Chyrko). Krym v etnopolitychnomu vymiri. – K. : Svitohliad, 2005. – 533 s. + dodatky 35 s. i 11 kart. (M. Panchuk – ker. avt. kol., H. Bekirova, V. Hankevych, O. Halenko, T. Horban, V. Voinalovych, O. Kalakura, V. Kotyhorenko, O. Liashenko, N. Makarenko, D. Omelchuk, Iu. Polishchuk, O. Rafalskyi, R. Khaiali). Zakarpattia v etnopolitychnomu vymiri. – K. : IPiEND, 2008. – 682 s. (M. Panchuk – ker. avt. kol., V. Kotyhorenko, O. Rafalskyi, V. Voinalovych, O. Krasivskyi, O. Kalakura, N. Kachan, N. Makarenko, T. Horban, O. Halenko, L. Kovach, O. Liashenko). Etnopolitychni protsesy v suchasnii Ukraini : rehionalni osoblyvosti – K. – IPiEND, 2011. – 396 s. (M. Panchuk – ker. avt. kol., V. Yevtukh, V. Kotyhorenko, O. Rafalskyi, V. Voinalovych, O. Krasivskyi, O. Kalakura, N. Kochan, N. Makarenko, T. Horban, L. Kovach, O. Liashenko). Donbas v etnopolitychnomu vymiri. – K. : IPiEND, 2014. – 548 s. (V. Kotyhorenko – ker. avt. kol., M. Panchuk, O. Kalakura, Iu. Nikolaiets, N. Kochan, N. Makarenko, L. Kovach, O. Rafalskyi). I. Zvarych (doktorant viddilu) Etnopolityka v Ukraini: rehionalnyi kontekst. – K. : Delta, 2009. – 320 s.
I. Tsependa (doktorant viddilu) Ukrainsko-polski vidnosyny 40–50-kh rokiv KhKh stolittia: etnopolitychnyi analiz. – K. : IPiEND, 2009. – 387 s.
I.Rafalskyi (doktorant viddilu) Fenomen ukrainskoho natsionalnoho samovyznachennia. – K. : IPiEND, 2014. – 237 s.